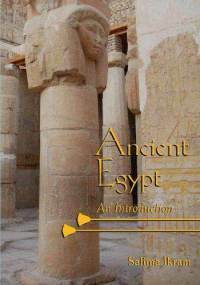 Looking for a great introductory book on ancient Egypt, but don’t know where to start? The Nile Scribes have several recommendations perfect for your first step into the world of Egyptology! We have handpicked some great reads that explore Egyptian history, culture, museum collections, and archaeology that you can use to familiarize yourself with the key issues we like to discuss in the news, conferences, and documentaries. Interested in Egyptian culture and society? Nile Scribes: This introduction to the ancient Egyptian world is simultaneously thorough and concise, and is generously and gorgeously illustrated throughout with an abundance of the author’s photographs taken during her many years of living and working in Egypt. An excellent university textbook for undergraduates for its clarity and breadth of information, Ikram’s book covers not just the physical ancient Egyptian world, but its historiography, from the first ‘Egyptologist’ Khamwaese to Greek fascination with the region, plus the Crusades and European travellers who satisfied Europe’s grandest museums and humblest collectors with their antiquities dealing. The book’s strongest suit is its elucidation of ancient Egyptian culture, from cradle to grave and beyond, for vastly dissimilar members of Egyptian society, be they separated by time, space, gender, or class. NS: Used as a textbook in many university introductory survey courses on ancient Egypt, Bard’s revised edition familiarises the reader with the main developments in Egyptian history from a mainly archaeological perspective. The author has included many maps, which show the key sites of each period, and also discusses these sites with detailed ground plans. While written for undergraduates, her writing avoids using excessive jargon and Bard excels in explaining important concepts in a straightforward, engaging manner. In order to help with comprehension, she also provides a helpful summary of each chapter in the back and the reader can test their knowledge by answering the focus questions following each chapter summary. NS: Lavishly illustrated with gorgeous colour photographs, Malek presents his selection of Egyptian masterpieces from as early as the mid fourth millennium BC down to the last flickers of Egyptian civilisation in 200 AD. The author provides a brief introduction into the main concepts of Egyptian art and also explains its development over time, highlighting the major changes. The reader can then look for themselves at these changes in the spectacular selection of objects. It is a great book to become familiar with the exquisite workmanship and skill of the ancient Egyptian craftsman and gain a window into the Egyptian artistic mind. Interested in Egyptian cultural history and its key debates? NS: This second edition contains the addition of a chapter on ancient Egyptian attitudes towards foreigners and aspects of ethnicity, a significant and developing conversation within the field recently. With more than 40 years of Egyptological experience under his belt, Barry Kemp tackles the central issues in the field with much finesse and detail. From assessing how the Egyptian state developed during the 3rd millennium to exploring the importance of the temple within the economy of the New Kingdom, Kemp uses the available textual and archaeological evidence convincingly to show the complexity of studying Egyptology. He is a master of citing the current debates on the many topics he discusses, which allows the reader to follow up, were they to have further questions. NS: The Egyptian Museum in Cairo contains the largest collection of Egyptian antiquities anywhere in the world and only a fraction of its collection is on display. While construction of a larger museum is currently underway near the Giza plateau, this “little” book packs a hefty and thorough introduction to the myriad of artefacts housed in the museum. Filled to the brim with striking colour photographs, the first section details the history of ancient Egypt and in the second section the reader can explore the objects by category (e.g. chapter 10 “Grave Goods”). This book goes hand in hand with Bard’s on the history of Egypt as you study in detail the most famous and important Egyptian objects mentioned in these books. It is worthwhile as a guidebook as you walk around the Egyptian Museum, in person or in spirit. Giveaway: “The Art Of Egyptian Hieroglyphics” and Nile Scribes button! Giveaway rules: There is only one (1) entry per person – email address required for notification. Giveaway ends 11.59 pm EST October 6, 2017 and the random winner will be drawn from the entries and notified one day later. The Nile Scribes are in no way affiliated with the book’s author or publisher and this is not a sponsored giveaway.